Hometown Realty is the premier real estate agency in Hutchinson, MN and sells more homes than any other company in the area. 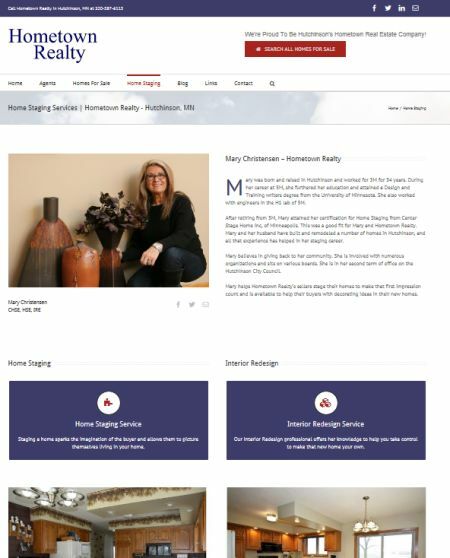 This is the fourth web site facelift for Hometown Realty over the past 15 years and this latest version is mobile responsive keeping in line with the most popular trend in websites. The cleaner full-screen design focuses on the “hometown” connection of Hometown Realty to Hutchinson, MN by incorporating local images, community-related links and multiple custom property search pages.